We Can Build You The Pond Of Your Dreams! ​Dreaming of a Great Water Feature is the First Step…. Imagine walking out of your back door into paradise. The soothing sound of water greets you as it courses through a stream and cascades down a series of waterfalls. Fish gracefully glide through the water, butterflies dance among the flowers, and birds sing in the nearby trees. You can feel the stress and anxiety of the day start to melt away as you relax and spend time in your newly installed “backyard paradise”, realizing that this is what you have always dreamed of. 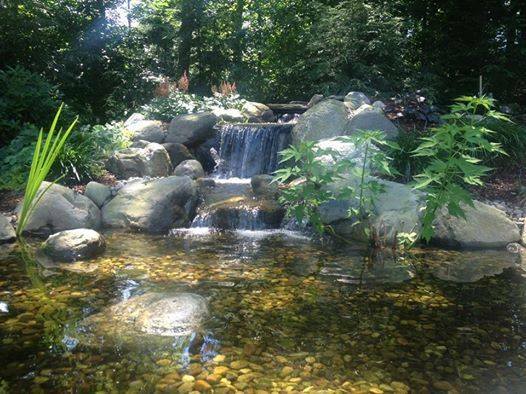 Since 1998, Picture Perfect Ponds has been designing & building natural looking, one-of-a-kind, ecologically balanced, low-maintenance ponds and pondless waterfalls in Hampden County, Western Massachusetts, and Hartford County Northern Connecticut and the surrounding areas. We have a passion for ponds and will build you the pond of your dreams!